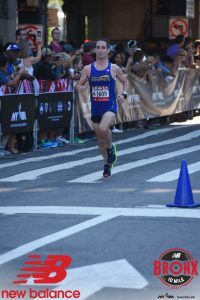 I decided to include a longer race as part of my preparation for the NYC Marathon in November. 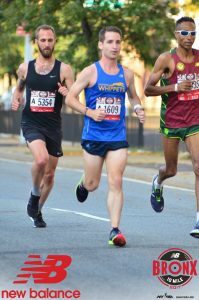 This summer I decided to focus on shorter distances, including running my first official 5k (16:41 on a hilly course), so I knew I needed to mentally prepare for running longer. I’ve ran a personal best so far in each distance this year except for the marathon. I will aim to cross another one off my list with New York in November. 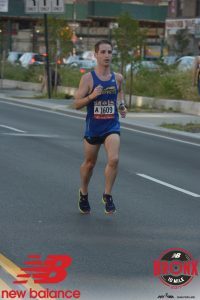 I raced the Queens 10k as well as a 5 Mile Team Championship run in hot and humid conditions. I’ve become acclimated to the heat. 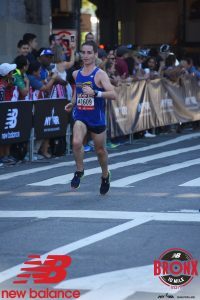 When I saw the forecast reaching near 90 degrees with high humidity, I didn’t panic much because I had confidence in myself from my previous races. I gave myself a time of 58:00 to finish 10 miles. 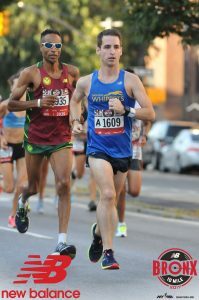 Could I have run the race faster even with warm conditions? Probably so, but I made it a point to exercise control and to look calm and cool racing. I think sometimes this is better than trying to go really hard, especially if you’re preparing for another race of big importance. 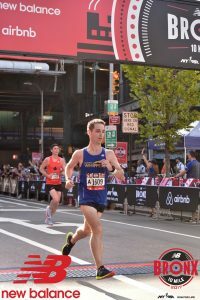 I did not want to peak too soon since the NYC Marathon has been on my mind for some time. One of the biggest secrets to running is to know yourself. A coach is a great asset, but you’re the only one who knows how your body feels. Heading into the race I felt very loose and ready to tackle my race plan. I ran into a good friend at the start line who helped me improve a lot during 2015-2016. We decided to pace the race together, which really helped me commit to my plan. 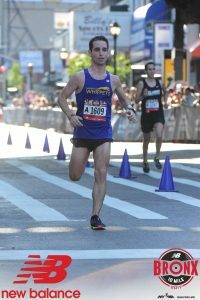 The start of the race is always hard to gauge in a NYRR race pace wise, but I kept my patience from early on and felt in control. I knew when to take fluid or dump water on my head to cool. I drank fluid early on and didn’t need much until after the halfway point. As I concentrated on my breathing and running form, I felt very in tune with my body. I kept my head straight and watched the group ahead of me waiting to pass runners in the final miles. As a group passed me with a few miles to go, I didn’t worry too much because of my confidence and finishing kick. 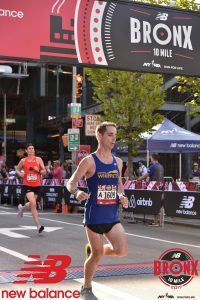 As we approached 15k and later made the final right turn, I kicked hard and passed that same group of runners in my final sprint. 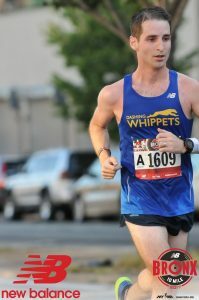 I finished 58:05 (5:49 mile pace) and ended up 64th overall (63rd man) out of a field of close to 15,000 runners. The extra 5 seconds didn’t matter to me because I mostly ran by feel during the race. I guessed my time by looking at the clocks on the course. I felt happy with my run and thought it provided me enough confidence to run something special in November. Now, I’ll continue to work on mental preparation while maintaining my aerobic endurance and speed that I’ve developed this year.